What wonder is it then, if the mind misses everything except what it is itself intent on? So from small signs we draw great inferences and lead ourselves into error and delusion. Living near a university campus provides me with an opportunity to hang out with intelligent and interesting college students from time to time. I’ve made new friends and had enjoyable visits with members of the Secular Student Alliance at Eastern Washington University, formerly the Eastern Atheists club. Most of its members are college students about half my age, but they have been very welcoming toward the old fart from the neighborhood who attends meetings and shows up at some of their parties. I do get a bit exasperated with the stock creationist arguments that bubble forth even in an environment of reasonable discourse, like foam materializing from seawater that splashes against the rocks. 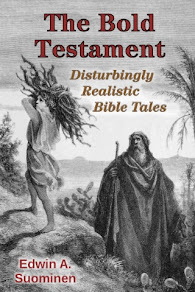 Whether they are repeated with nods and smiles from a thoughtful person like Daniel or spewed forth on the Internet by agenda-driven organizations like the Discovery Institute, all creationist arguments are ultimately descendants of a single common ancestor: personal incredulity.1 We humans are all too eager to believe in some invisible creator over scientific explanations that we are either unwilling (due to faith or social commitments) or unable (due to limits on time, education, or imagination) to personally understand. 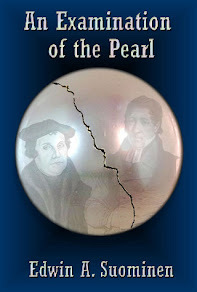 From Did God Really Say?, LLC “Timely Topics” presentation, 2012. Despite my occasional impatience, I certainly know how much a person’s thinking, how the boundaries of one’s willingness to learn, can be constrained by the need to think only dogmatically correct thoughts. My entire childhood religion was founded on the premise that a first human pair had been duped by a talking reptile thousands of years ago, infecting us all with Original Sin and necessitating the sacrifice of a perfect God-man to set things right. For an abundance of reasons, there is no way to reconcile that story with the reality that science shows us, despite valiant attempts by earnest writers who want to have their disproven Pauline theology and evolution, too. Ironically, it is this very myth that is now being recited in my old church as reason to turn away from the unsettling questions being whispered among the troubled faithful. The (mythical) serpent asked, “Did God really say…?”, and we know how that worked out, so don’t you go asking, either! With some slight reformatting for web publication, here is an excerpt of the book that speaks candidly to what, unfortunately, remains as a pig-headed persistence of a thoroughly disproven viewpoint. For my own part in this co-authored writing, I speak with the zeal of the converted, knowing what an iron grip that mindset had on me, too, for such a long time. We [Price and Suominen], along with many of the theistic evolutionists whose writings we criticize, find it infuriating how creationists deny the reality—and wonder—of evolutionary theory. Its explanatory power is stunning; all the scientific puzzle pieces fit into place, from anthropology to zoology. It is difficult to emphasize enough just how strong the evidence is, yet most Americans doggedly persist in remaining ignorant of it. Worse, the most devout among them view it as almost a holy calling to enforce that same ignorance on their children and churches. For those not blinkered by an outdated dogma, there is no longer any debate about the truth of evolution. The debate has been over for a hundred years. The evidence has continued to pile up, in new fields like molecular genetics that Darwin couldn’t have dreamed of. We have long since reached the point where evolution—micro, macro, human—is no more productive a topic for argument than computing epicycles in case that “theory” of Copernicus turns out to be wrong, after all. Two of our pious scientists put it frankly to their Christian brethren: “When there is a near-universal consensus among scientists that something is true, we have to take that seriously, even if we don’t like the conclusion” (Giberson and Collins 2011, 29).3 Sure, there are some crackpots who reject what is squarely in front of their faces, even a few educated ones who ought to know better. 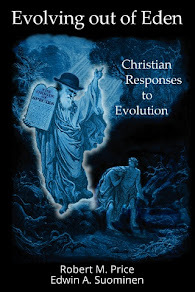 But the “percentage of scientists who reject evolution is very small—so small that in most large gatherings of scientists you would not find even one person who rejects the theory of evolution” (p. 30). Meanwhile Neil Shubin goes to Greenland year after year to dig for a fossil evidencing the transition from water to land. And he finds it, too: Tiktaalik roseae.5 Did the creationists gather at the Field Museum to examine this extraordinary find that plugs the evidenciary hole they had been complaining about? Of course not. They just go on talking, about smaller holes. 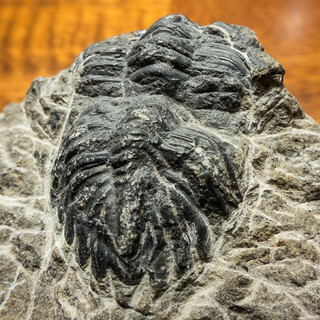 Two images in this post are from a Flickr user who has made them available (as of this writing) under the Creative Commons-Noncommercial license, as I have for my Trilobite fossil photograph. Note that my legal usage of these materials, under the CC license terms extended as of this posting, does not imply any endorsement or agreement with this blog posting by the photographer. Evolving out of Eden is Copyright © 2013 by Robert M. Price and Edwin A. Suominen, All Rights Reserved: Excerpted here by permission of Tellectual Press.